BRENDAN HOWLIN, MINISTER for Public Expenditure and Reform, has suggested in an interview at Dublin Castle that a ‘No’ vote for the Oireachtas Committee Constitutional amendment won’t be the end of it. Speaking at Dublin Castle just before Michael D Higgins was officially presented as new President-elect of Ireland, Howlin said that “if it [the amendment] is defeated, we’re going to have to think again about how we’re to get our reform agenda back on track”. He was asked if that meant that the Government was still committed to putting forward legislation surround Oireachtas Committees. It’s going to be very difficult to have the sort of parliament that this Government is committed to having, and that is an Oireachtas that holds the Executive to account robustly, that seeks after truth, that ensures it’s done efficiently and effectively, without powers that are close to or analgous to the ones we proposed. The minister did not indicate if he was thinking of returning the amendment for a second referendum at a later stage, should it fail to pass this time. He also lamented the difficulty of presenting the detail of constitutional amendments against “the backdrop of a lot of controversy” in the last few days of the Presidential election. He said it was particularly difficult when “a direct challenge was made on a matter of fact; it’s very difficult to rebut that in a very short timeframe”. His comments come as the counts on the Constitutional amendments are being tallied. It is looking like the amendment on judge’s pay will be passed but it looks less likely that the one on extending powers to Oireachtas committees will succeed. Justice Minister Alan Shatter said earlier on RTÉ Radio One that he thought the result for the Oireachtas committees’ rights of inquiries would be very tight. He also claimed that coverage of the Presidential election had overshadowed the referendums. The proposals we had, you know, weren’t exactly plucked out of the air. The all-party committee on the constitution looked at the proposals for a year. I thought a very careful balance was struck, the legislation to accompany it was published in draft form to allow for inputs, before they were finalised, and I went before the Oireachtas committee to see their views on it, so it was a carefully crafted proposal to bring more accountability and to get a better mechanism – a more efficient mechanism – to get to the truth. But the last few days, because questions were asked and people were confused, the informed view of a lot of people is ‘No. If in doubt, say no.’ That’s going to pose a challenge to us in the future to bring about the reforms, the changes – both in the constitution and in the law – to make us a more accountable, more open, more transparent polity and public administration. He said that while it isn’t “over yet” and it “may well carry”, he feels that it is only “the start of the reform agenda”. Other issues he says are coming down the line for reform include the Freedom of Information Act, the whistle-blowers’ legislation, the register of lobbyists, a review of the Constitution and the Children’s Rights amendment. 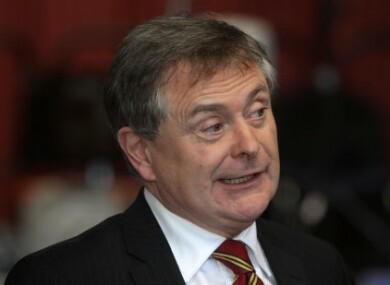 Email “Howlin hints that if Committee amendment doesn't pass... it won't be end of it”. Feedback on “Howlin hints that if Committee amendment doesn't pass... it won't be end of it”.